Our world is naturally symbiotic, with no part existing independently of another. To reject that notion is to reject nature itself. 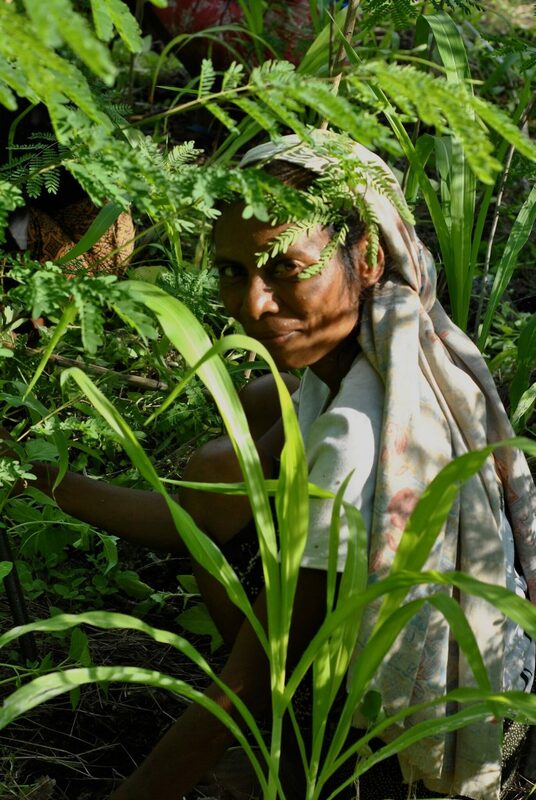 The principles of permaculture – to care for the earth, its people and to live sustainably within it – have added gravity in the small, developing island nation of Timor-Leste. Lying to the north of Australia, we’d been on the mainland in Dili (the capital) a couple of weeks when we heard about the permaculture initiative on Atauro Island. 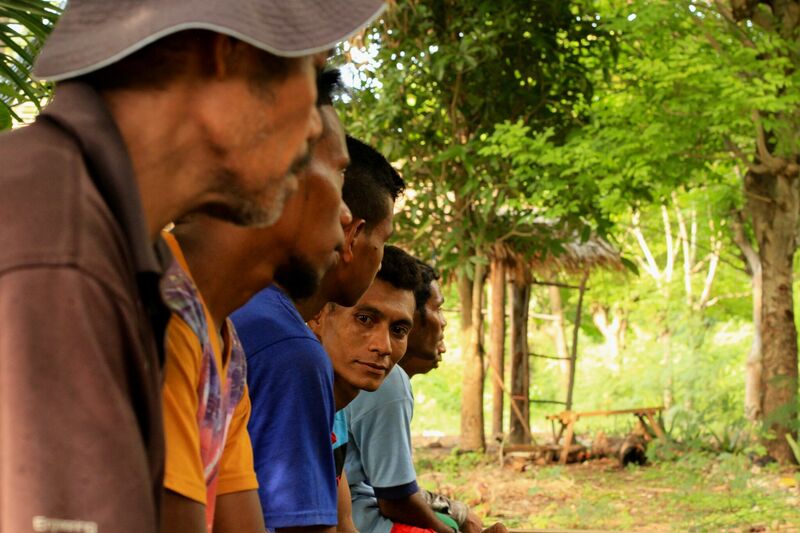 This information came to us by word of mouth, like most things in Timor. With stifling humidity and arid soil, harsh sun and torrential downpours, Timor-Leste is a country of extremes. Wealth inequality is extreme, with over half of the country live in poverty, as is the balance of age – 60% of the population is under 25. Atauro sits 25 km north of Dili and the mainland. 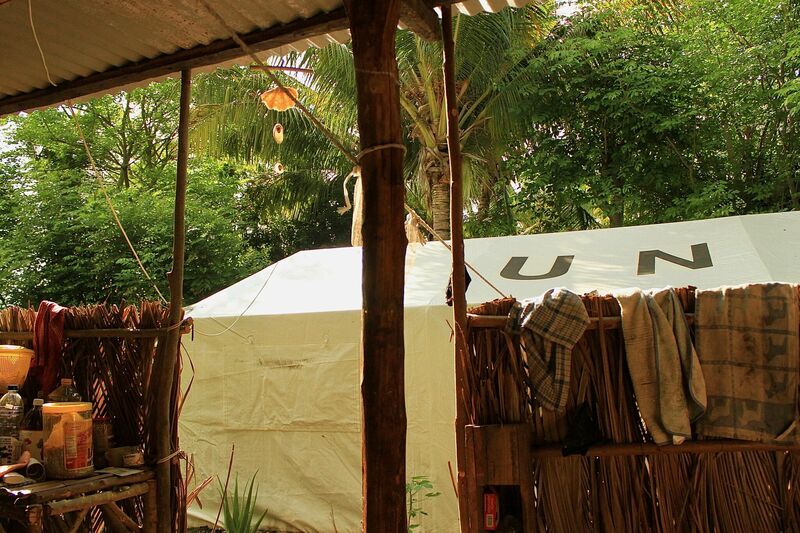 The permaculture organisation NaTerra can be found in the village of Atekru on the northern side of the island. We hiked across its expanse one morning, from Beloi on its southern coast to Adara village in the north – crossing shattered roads and primeval mountain valleys, past the volcano rock spat out long ago. Stone fences whisper of the islands past – a time when villagers lived in the interior, farming on the fertile, protected land. Leaving Adara for Atekru we miscalculated, underestimated – departing at high tide rather than low – and it took us three hours to make our way across the large sharp rocks that soldier the coastline. At low tide it’s a forty-five minute walk and far easier. On an island like Atauro, nature must be worked with rather than around. Imports are few and far between, and there are only a handful of provisions stores on the whole island. Infrastructure is basically non-existent, and the isolation is extreme – magnified by its close distance to the capital. The principles (and effects) of permaculture could not be more relevant here. The concept of permaculture is that of an holistic agricultural approach which, through design, sensitivity and harnessing natural ecosystems, is self-sufficient and sustainable – minimising environmental impact and fostering beneficial relationships (for both nature and people). Renewable resources are used carefully, respected and valued, waste is minimised and eliminated if possible. In every area, reducing environmental impact is vital. Atauro has countless microclimates, from the arid scrub and gum trees of the southern coast, to the lush rainforest of the volcanic interior. 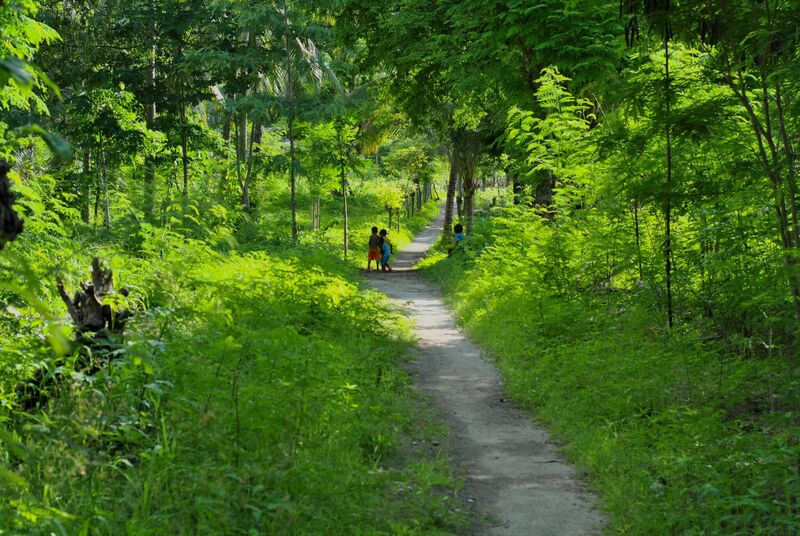 The north side is different again – green, fertile and tropical. 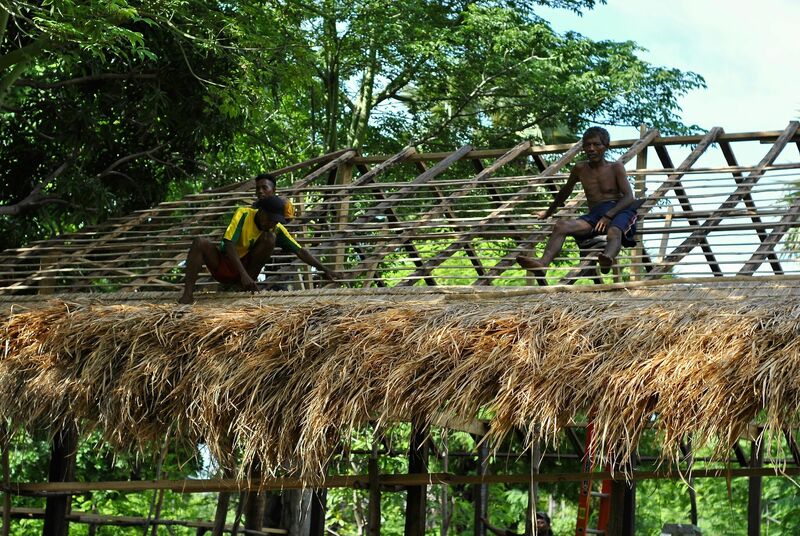 It is here that NaTerra’s initiative on Atauro was founded, in the small village of Atekru. We visited at the tail end of 2017. Only nine months in (although securing funding and approval had taken years beforehand), there were already large expanses of neatly planted fields, home to sister-crops like corn, beans and pumpkin. 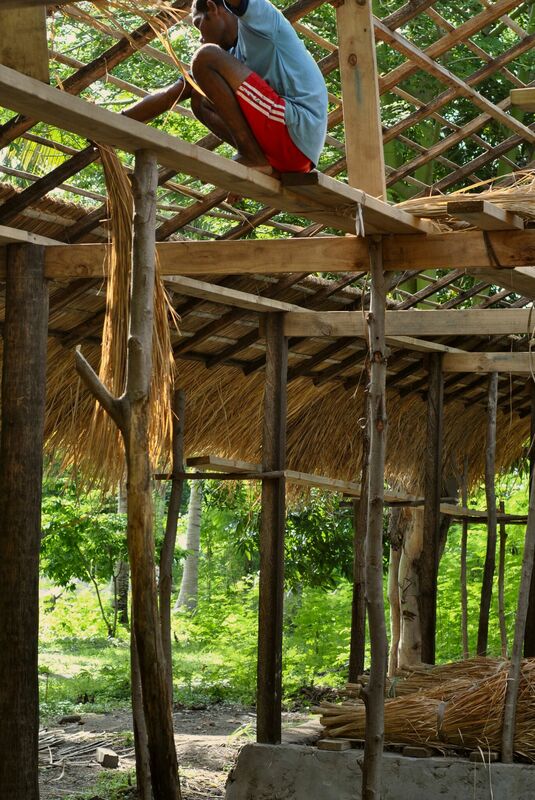 Buildings were being erected in traditional Timorese style using natural materials; a traditional thatched roof was going up on a building, and the foundations for another – a schoolroom – were being laid out. 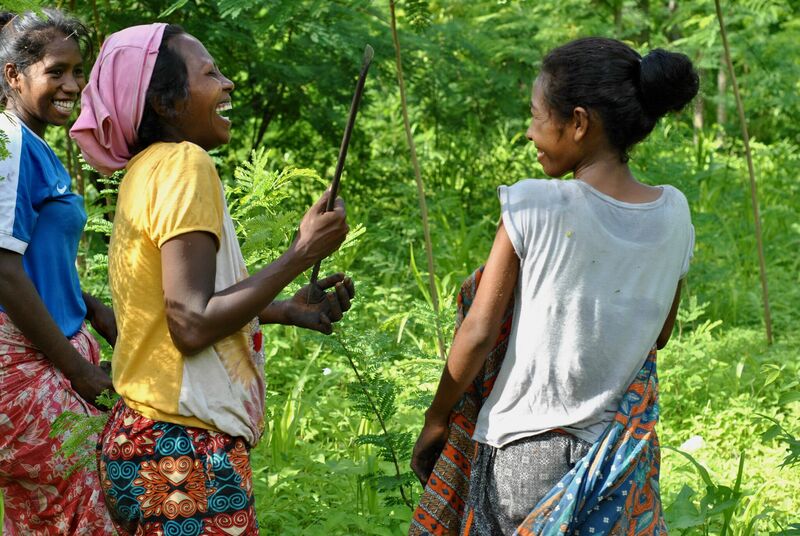 There were around three dozen Timorese working on the land when we visited, and all came from local villages. They take back with them not only crops that they’ve harvested, but knowledge to share with and improve their own communities. This ‘bleed out’ of information is at the heart of NaTerra’s approach to improving agricultural practices and sustainability there. The island receives little rain, so water management is vital, and is integral to the permaculture ideology. Waste water is filtered through a natural system of coral, sand and water-cleaning plants. All toilets in NaTerra are composting. Each family is soon to receive their own rainwater tank from another NGO and, most importantly, the villagers will be taught how to install and maintain these. Fernando also told us of moringa, a crop they grow. 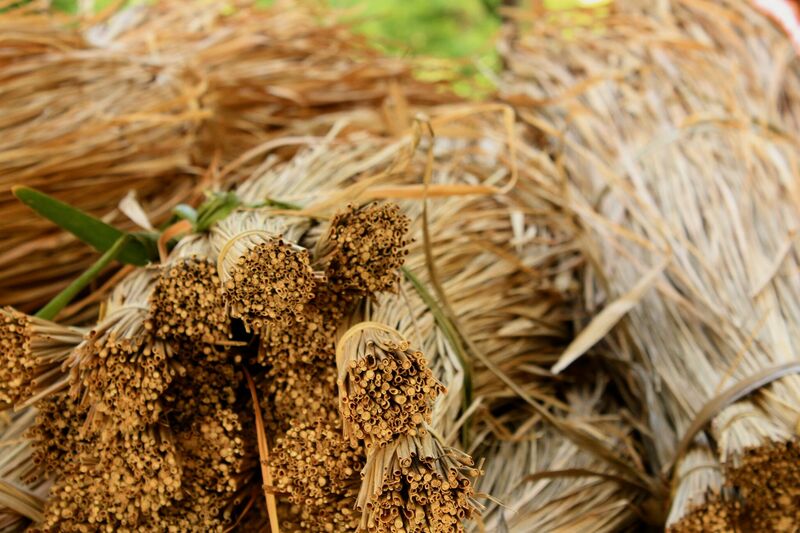 Touted as a superfood, it has the potential to be of vital dietary importance to isolated, compromised communities like Atekru. “The leaves of moringa provide complete nutrition – protein, all the vitamins – and it’s one of the only plants to have all seven amino acids that the human needs. Another amazing thing is it’s one of the most resilient plants on earth – it can grow without water for six months.” Not only does it provide the community with supplementary nutrition, it can also be used for water purification. At NaTerra they dry and powder moringa when the plant is at its most nutrient rich, so its benefits are available all year round. Originally from India, it grows well in tropical, subtropical and semi-arid areas so is ideal for the micro-climates of Timor-Leste. Reclaiming a collective history, permaculture heralds a return to traditional practices. 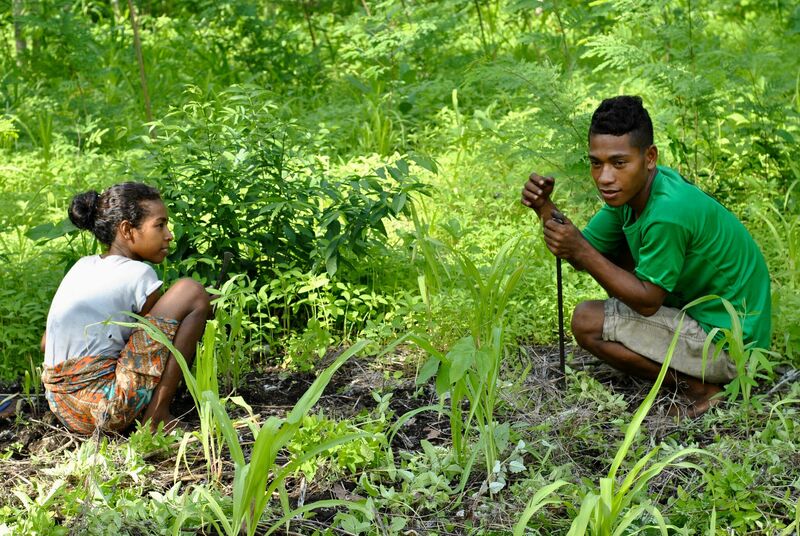 Agriculture is ingrained in Timorese traditional culture (the majority of the population still live rurally) so through permaculture this can be developed and maintained, rather than rely on importing goods. Fernando stresses the importance of permaculture in creating equality. “Sustainable development brings more equality, more opportunity to everyone.” The integration of permaculture practices in the wider community has the power to foster sustainability, environmental sensitivity, nutritional security and (most importantly) a more tangible independence for the people of this small, young country.